To encourage conversation among scholars at different stages of their career (including undergraduates, graduate students, and faculty). Ulka Anjaria is Assistant Professor of English at Brandeis University. Her research interests include South Asian literatures and film, postcolonial literature and theory, narrative theory, the global novel, interdisciplinary approaches, and literary theory. Claire Decoteau is Assistant Professor of Sociology at the University of Illinois at Chicago. Broadly, her research focuses on the social construction of health and disease, health inequalities, and people's grounded experiences with healing ahd health care systems. She is currently working on a book manuscript based on her dissertaiont, entitled Ancestors and Antiretrovirals: The Bio-Politics of HIV/AIDS in Post-Apartheid South Africa. 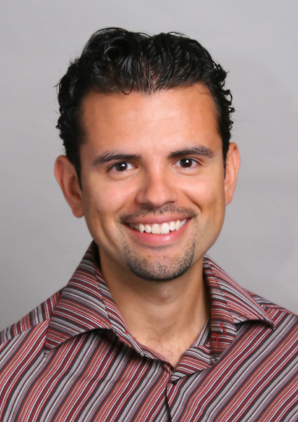 Ernesto J. Martínez is Assistant Professor of Women’s and Gender Studies, Ethnic Studies, and English at the University of Oregon. He is currently working on a book manuscript, entitled Queers of Color and the Ethics of Social Literacy, which examines the contributions of queer writers of color to contemporary theory. He is also in the process of co-editing, with Michael Hames-García, a volume of gay male Chicano/Latino criticism, entitled Gay Latino Studies: A Critical Reader. University of Puget Sound. She has published articles and reviews in the areas of Asian American and African American literature, and received a dissertation fellowship from the Ford Foundation. Her current projects include a book manuscript involving contemporary African American/Asian American literatures and coalition politics, as well as a co-edited essay collection about teaching the ethnic literature survey. 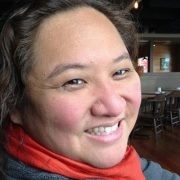 At Puget Sound she teaches classes in multicultural American literatures, freshman/transfer writing, and food studies. John Riofrio, "Rio," is Assistant Professor of Hispanic Studies at The College of William and Mary. He is currently working on a book manuscript which explores how the demographic shift in Latin@ immigration to the U.S. is changing the way we understand Latin@ literary imagination. Rio firmly believes in the power of words and further believes that music and dancing should be an integral part of most, if not all, intellectual exchanges.